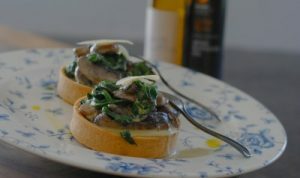 Wild Mushroom & Spinach Tart with White Truffle Oil. 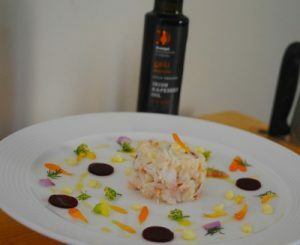 Crab Meat Tian with Beetroot & Curry Oil. 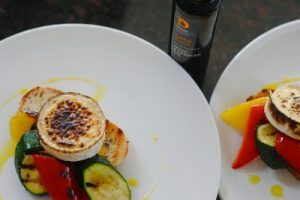 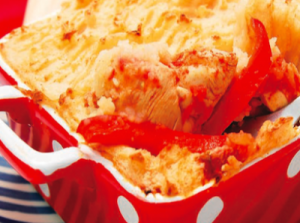 Goats Cheese, Grilled Peppers & Courgette. 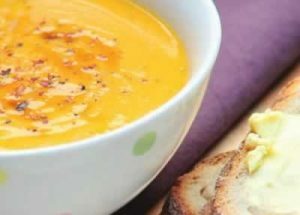 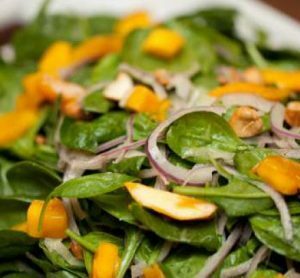 Warm Garden Salad with Bacon, Mango & Chilli Dressing. 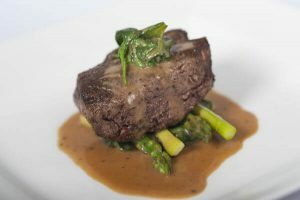 Beef Fillet with Sauteed Asparagus, Spinach and Creamy Peppercorn Sauce. 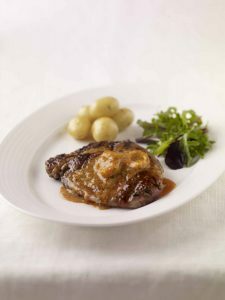 Grilled Rib-Eye Steak with Red Pepper Butter. 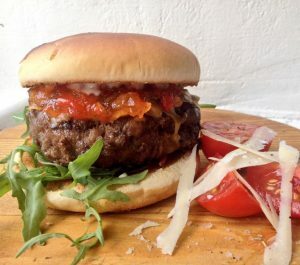 Chilli Beef Burger with Chilli Jam. 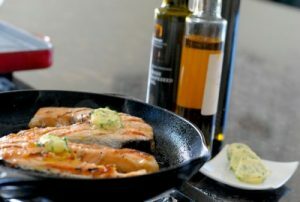 Grilled Salmon Steaks with Hickory Smoked Butter. 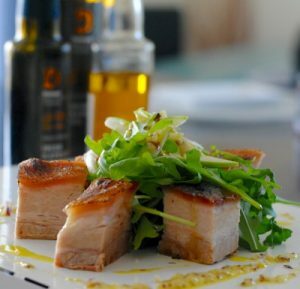 Pork Belly with Apple Salad and Hickory Dressing.